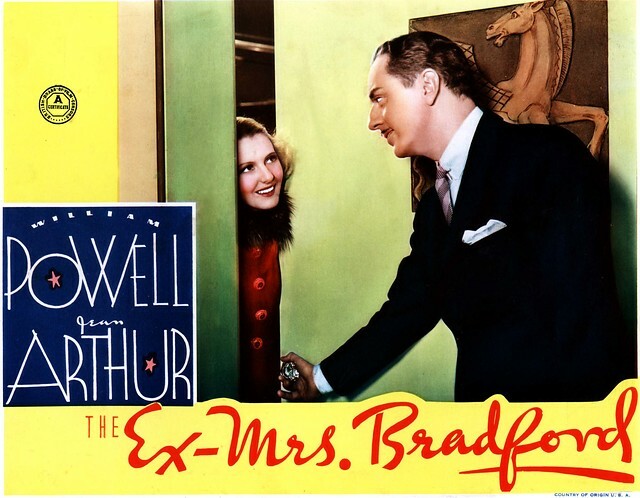 The Ex-Mrs Bradford (1936) is a 1936 comedy-mystery starring William Powell and Jean Arthur. Produced by RKO Radio Pictures, the film was the last directed by Stephen Roberts before his untimely death aged 40 from a heart attack. Jean Arthur plays Paula Bradford, the ex-wife of surgeon Dr. Lawrence “Brad” Bradford, played by William Powell. She is a murder mystery writer, and because she was always getting involved him in real murder cases, he divorced her, but she wants him back. When a jockey is killed at a racetrack, and foul play is suspected, she persuades her reluctant ex-husband to help her, and the trainer of the jockey’s mount, to find the killer. 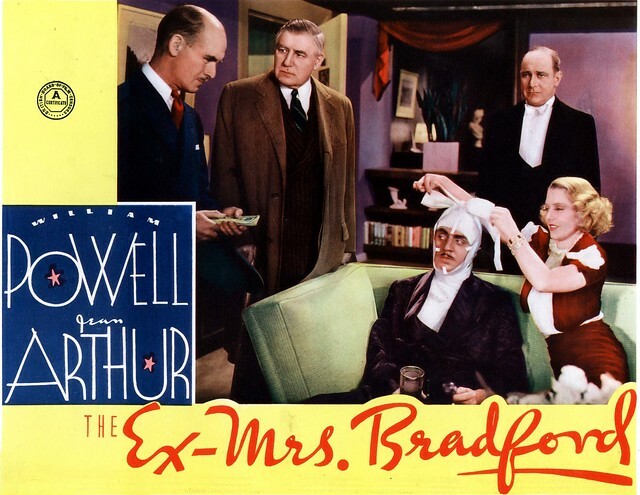 When the trainer is then murdered, Dr Bradford becomes the prime suspect.